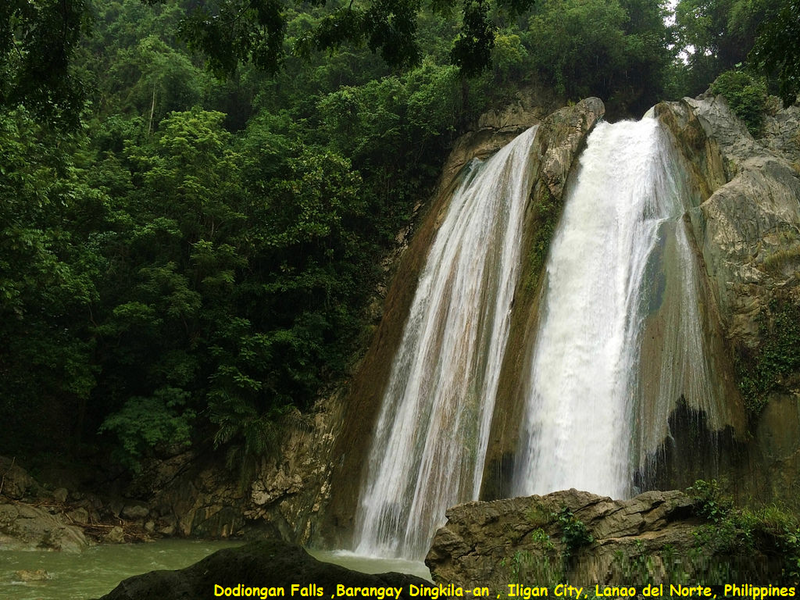 Dodiongan Falls is a 20-metre (65.5 ft) high waterfall located in Barangay Bonbonon, 14 km away from Iligan City in Lanao del Norte province of the Philippines. A CHUTE WATERFALL is a slide waterfall. It sounds like it should be a slide, and in a more distinct feature, it is a slide. This is characterized to be any waterfall where a lot of water passes through a semi-vertical, narrow passage with a glide. You can also swim in the pool made by fall with safety.